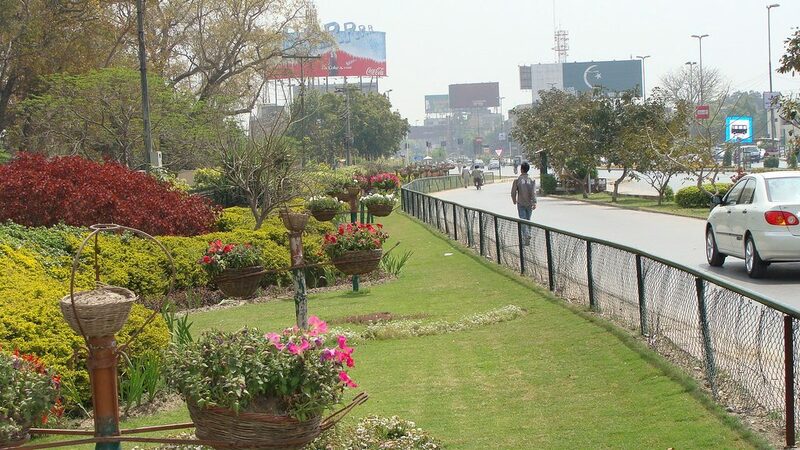 Lahore is undoubtedly the City of Gardens. 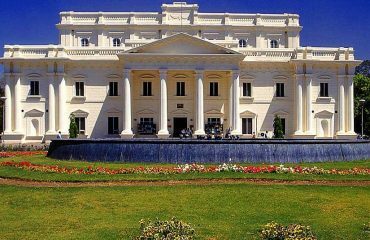 Most of the beautiful and lush gardens in Pakistan are in the vicinity of Lahore city. 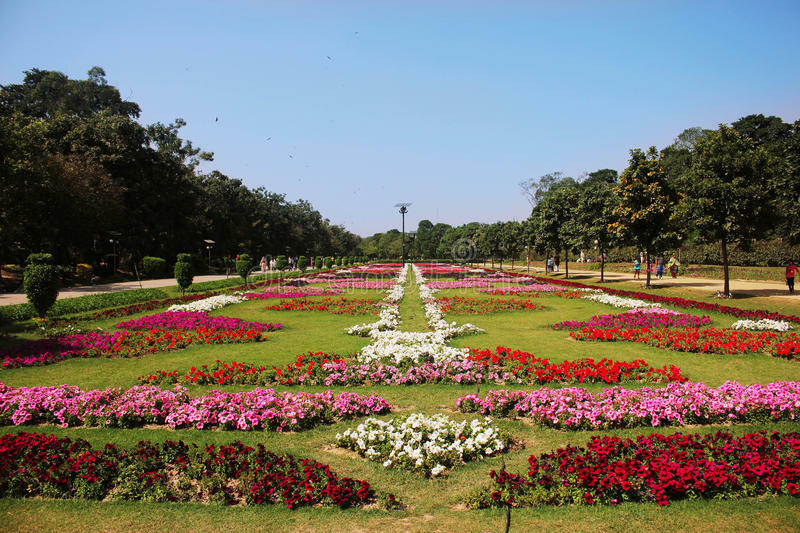 One such beautiful park is Jilani Park commonly called Race Course Park. This beautiful posh garden is located on Jail Road opposite to Services Hospital. 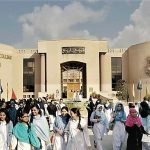 Being in the locality of three main colleges of Lahore, Race Park is a magnet for students. 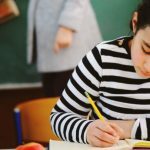 Employees from adjusting hospitals, Metrological center and other offices find relief here from their stressful work life. As a kid I use to see this park daily on my way to pick my cousin from her collage. On some days when my cousin use to have extra-long art classes, me and my other cousins use to go to the park to kill time. That was the best time of my life. Jilani Park was opened to public in 1985. It is an enormous park covering an area of 88 acres and 6 canals. This exquisite garden is home to over 80000 plants and flowers and 200 trees. Nearly 200 of these plants are very rare and expensive and are imported from abroad. 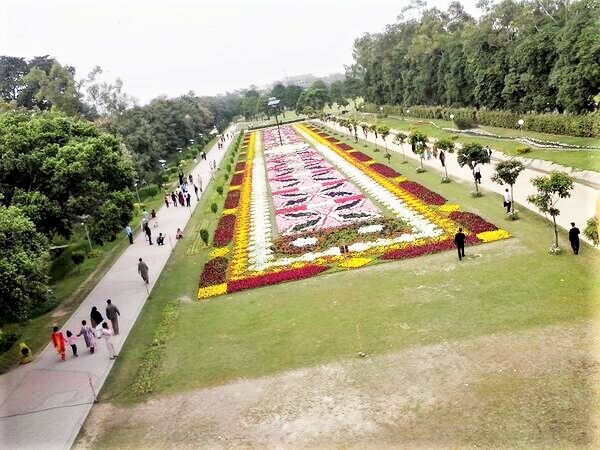 Jilani Park arranges Spring Festival every year in which these plants and flowers along with many others are put to display for everyone. The festival is held in late February and continues till mid-March. Everyone and anyone came and enjoy the beautiful display of vibrant color flowers of all kinds. 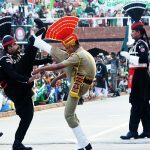 This festival is highlight of spring in Lahore. 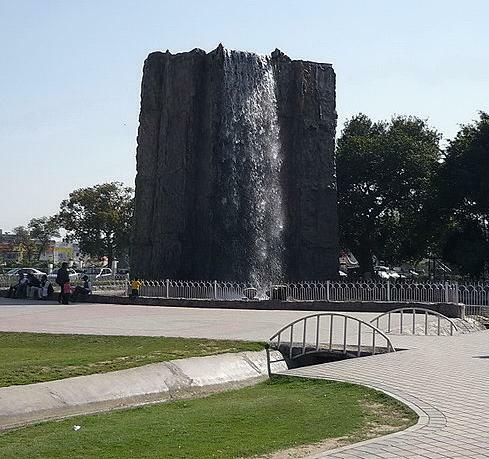 Near the entrance of the Park there is a huge man made waterfall which is beautiful sight especially in hot days of summers. This not only provides relief but also adds beauty to this park. People love to take pictures in front of this waterfall. Apart from this, there are two man made hills present in the park which too attracts photographers. 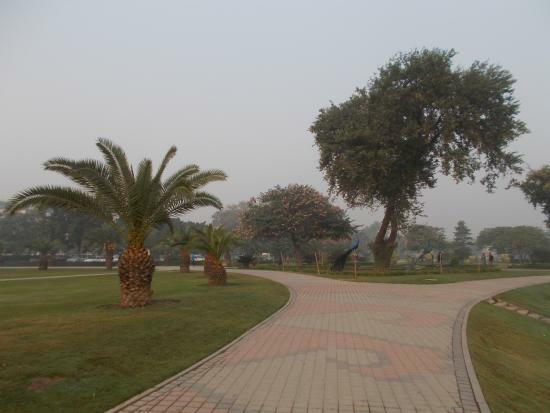 The Japanese style landscaping adds a different dimension in Race course Park, as usually the parks of Lahore have either Mughal or Colonial style landscaping. The intricate walkway of 5.5 km adds to the beauty of the park. The walkway is paved with tress of all kinds and flowers. The best time to enjoy walk is in early spring when flowers are blooming and trees branches are getting green with new leaves. 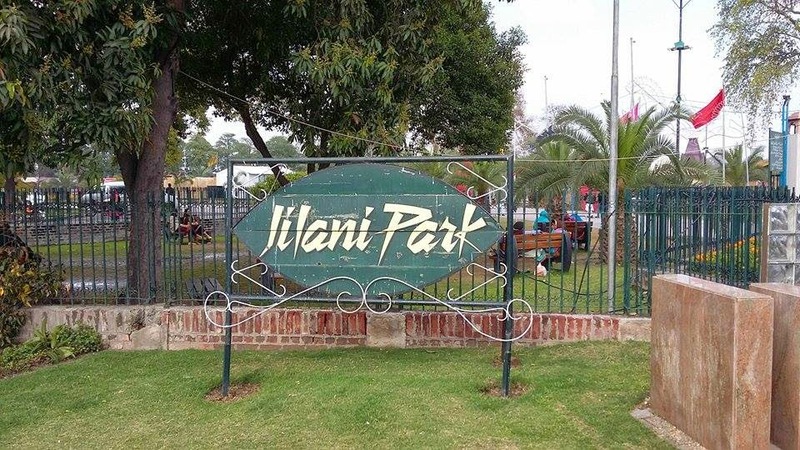 Jilani Park has two cricket grounds which are used for playing the favorite sport of Pakistan. 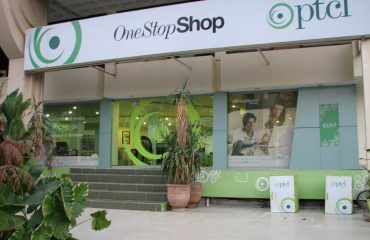 A topnotch gym is there to facilitate the visitor of the park. My personal favorite thing to do in this park is jogging. This brings back memories of my late uncle and takes me down in the memory lane. He use to take me, my siblings and my cousins to park and use to jog on the track. We use to follow him until we were out of breath. We then use to rest on the benches while he use to finish the track. This jogging track is 2.75 km in length which is one of the longest in Asia. A beautiful lake is also adds to the exquisiteness of this park. 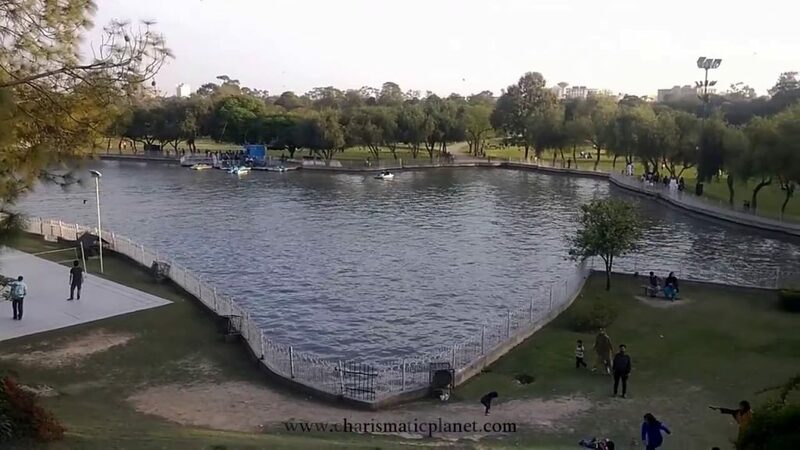 This lake is shaped like Pakistan’s map which adds unique character to this lake. Boating facility is available at there. Though I have never tried boating there but that is in my bucket list and will try that soon too. Race Course Park has a race course and hosts yearly derby which attracts many visitors and lover of this sport. One of the main attraction for me being a foodie is that there are 5 canteens which offer good food and a fine dining restaurant that serves quality food. 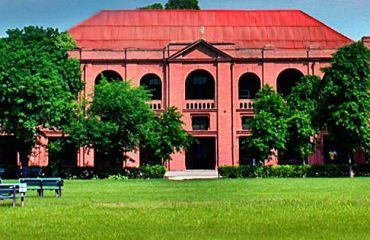 Due to its proximity to all the areas of Lahore, this park hosts number of events throughout the year. Most famous of them are Spring Festival, Food Festival and many more. These events attracts a lot of local as well as foreign visitors and these events presents a positive picture of our country to outside world. Fool proof security is available 24/7 in this park, however special attention is paid when these events are held at the park.